SAO PAULO (AP) — The cars roll endlessly off the local assembly lines of the industry's biggest automakers, more than 10,000 a day, into the eager hands of Brazil's new middle class. The shiny new Fords, Fiats, and Chevrolets tell the tale of an economy in full bloom that now boasts the fourth largest auto market in the world. What happens once those vehicles hit the streets, however, is shaping up as a national tragedy, experts say, with thousands of Brazilians dying every year in auto accidents that in many cases shouldn't have proven fatal. Dr. Dirceu Alves, of Abramet, a Brazilian association of doctors that specializes in treating traffic accident victims, said poorly built cars take an unnecessary toll. "The gravity of the injuries arriving at the hospitals is just ugly," he said, "injuries that should not be occurring." But the country's few safety activists perceive a deadly double standard, with automakers earning more money from selling cars that offer drivers fewer safeguards — a worrisome gap for new middle-class households, whose surging spending power has outpaced consumer protections taken for granted in more developed countries. The problem extends beyond Brazil, with economic forecasts showing the majority of global growth in auto sales taking place in emerging-market nations as the world's auto fleet doubles to 1.5 billion by 2020. "Entry-level cars in Brazil are incredibly dangerous, it can't be denied. The death rate from accidents is far too high," said Maria Ines Dolci, coordinator of the Rio de Janeiro-based consumer defense group Proteste. "The manufacturers do this because the cars are a little cheaper to make and the demands of the Brazilian consumers are less; their knowledge of safety issues is lower than in Europe or the U.S."
Only next year will laws require frontal air bags and antilock braking systems on all cars, safety features that have been standard in industrial countries for years. The country will also have new impact regulations on paper, at least; Brazilian regulators don't have their own crash-test facility to verify automakers' claims about vehicle performance, nor are there independent labs in the country. Experts say those requirements alone are not sufficient to meet basic safety standards. Some models sold in Brazil, like the Chinese-made JAC J3, scored only one star in a recent crash test despite having air bags and antilock brakes. An independent pilot effort known as the Latin New Car Assessment Program has run initial tests of Brazil's most popular car models, and the results are bleak. The cheapest models of four of the five top-selling cars, made by General Motors, Volkswagen and Fiat, received a one-star rating, out of five stars, while other top sellers also scored poorly. Such a rating means cars provide little protection in serious head-on wrecks, compared to four- or five-star rated cars, which are virtually the minimum that consumers in the U.S. and Europe buy. The squat Ford Ka hatchback sold in Europe scored four stars when it was tested by Euro NCAP in 2008; its Latin American version scored one star. Ford acknowledged that particular Ka is built on an outdated platform, and said it cannot be compared with the European version of the same name — it's that different. 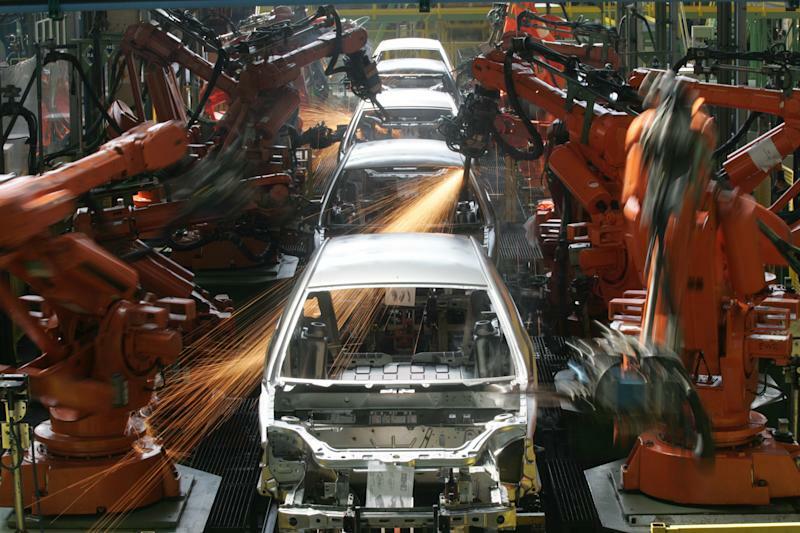 The company said it aims to have all its cars produced in Brazil built on updated, global platforms by 2015. The Mexico-produced Nissan March compact sold in Latin America received a two-star rating from Latin NCAP, while the version sold for about the same price in Europe, called the Micra, scored four stars. The crash tests found the Latin American model had a weak, unstable body structure that offered occupants little protection in even non-serious wrecks. In an emailed statement, Nissan said the March sold in Brazil is "practically the same model" offered in Europe. "The difference in the results achieved in Europe and Latin America is due to variations in the NCAP tests applied in different parts of the world." Not so, said Alejandro Furas, technical director for the Global NCAP crash test programs. "We perform the frontal crash test exactly in the same way as the Euro NCAP," he said. "The March and Micra were tested in the same lab, with the same type of crash test dummies, under the same conditions with the same people running the laboratory." The Euro NCAP tests are more complete. They include side-impact and other tests, while the Latin American version only records front-impacts. Each type of impact test is individually scored on a 16-point scale. The March sold in Brazil obtained a 7.62 rating in its frontal-impact test. The Micra fared much better, 12.7 points. Italian automaker Fiat said in an emailed statement that "in general, Brazilian projects receive more reinforcements" within the cars' bodies to fortify them against the nation's "harsher roads and terrain." However, NCAP tests found that Fiat's best-selling car in Brazil, called the Novo Uno, had an unstable body structure and scored it just one star. Crash-test footage shows the front of the car folding up like an accordion, giving it a 2.0 point rating, the second lowest of the 28 cars NCAP has examined. Consumers purchased nearly 256,000 Novo Uno's last year — the second-most popular car in the country. Renault's safety standards also vary. The French company builds its Sandero in Brazil, selling 98,400 cars last year. That car scored one star on the Latin NCAP test, but the model sold in Europe, made by Renault's Romanian subsidiary Dacia, scored three stars. Renault said the safety record of the Sandero and its other cars were on par with autos of the same class in Brazil. One of those is the VW Gol, Brazil's best-selling car for the last decade. Volkswagen said it strives to maintain a global standard for body strength, putting the same number of welds on the same models regardless of where they're produced, and using high-strength steel in Brazilian cars. It added that since 1998 it's given Brazilian consumers the option of buying a car with air bags — its Gol Trend model with two frontal air bags scored three stars, while the same model without air bags scored one star. The company didn't respond to requests for figures on how many consumers requested air bags. "Structural integrity during a crash is a global standard for Volkswagen," the company said in an emailed statement. "The passenger compartment for the Gol remained stable and thus guarantees survival space for occupants." Latin NCAP has tested three VW models. The Gol and the Polo had stable bodies. The Bora sedan, however, was rated as unstable, though other factors helped it score three stars. And then there are the cars the companies do not market outside Latin America, such as the Celta by GM. Celta is Brazil's No. 5 car in terms of sales, with 137,615 sold last year. It received one star after its door unhinged and the passenger cabin roof bent into an inverted V shape during its crash test. General Motors had no comment other than to say that its cars in Brazil are legal. An engineer for a major U.S. automaker, speaking only on condition of anonymity for fear of losing his job, said he has watched for years as his company failed to implement more advanced safety features in Brazil, simply because the law did not require them. "''The automakers are pleased to make more profitable cars for countries where the demands, whatever they may be, are less rigorous," he said. "It happens everywhere — India, China and Russia, for example." About 40 million Brazilians moved into the middle class during the past decade with more income than ever to buy their first car. The growth potential is enormous: One out of every seven Brazilians owns a car, while the U.S. vehicle fleet covers nearly every American. But as auto sales boom in Brazil, so have the number of accidents and deaths. 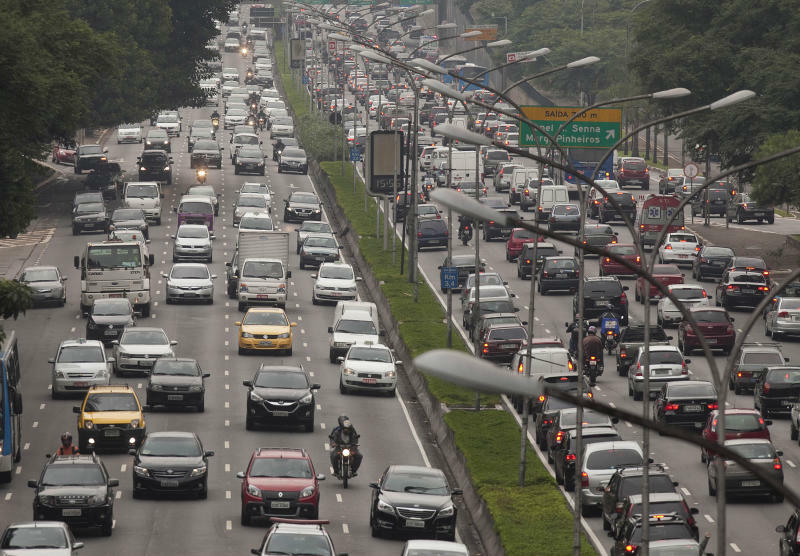 An analysis of Health Ministry data shows that 9,059 car occupants died in vehicle crashes in Brazil in 2010, according to the most recent statistics available. That same year, 12,435 people in the U.S. were killed in car crashes, though the U.S. passenger car fleet is five times larger than Brazil's. The result: Brazilian automobile crash victims died at four times the rate as those in the U.S. The dangers come down to basics, engineers said: the lack of body reinforcements, lower-quality steel in car bodies, weaker or fewer weld spots to hold the vehicles together and car platforms designed decades before modern safety advances. "The electricity used in building a car is about 20 percent of the cost of the structure," said Marcilio Alves, an engineering professor at Brazil's premier University of Sao Paulo and one of the few independent researchers in the nation looking at car safety. "If you save on electricity, you save on cost. One way to save electricity is either reducing the number of spot welds or using less energy for each spot weld made. This affects structural performance in the event of a crash." In a car with no air bags and an unstable body structure, a driver's biggest danger is the steering wheel. A weak body structure and fragile steering column make it easier for the wheel to slam into the driver's chest and abdomen in frontal crashes, the deadliest and most common, causing serious damage to vital organs. Ward talks of steering wheels that break off and "float" during wrecks in poorly made cars — moving around the cabin in the driver's area. That means that even if an air bag is deployed, the steering wheel may go around or under it and directly hit the driver. Many Brazilian car bodies also don't contain crumple zones, areas that absorb energy during wrecks. The omission endangers occupants' lower limbs, as foot wells rip off and expose feet and legs to car parts slamming into them from the front. "If a car's body cannot absorb the energy of a crash, it will logically result in more damage, more injuries to passengers," said Alves, the doctor who specializes in traffic accident victims. One auto engineer described the situation by sketching two car body designs with identical perimeters, but one depicted internal gaps — missing body reinforcements. He worked three decades for Volkswagen and spent the last 10 years as an independent engineering consultant for big automakers. He asked that his name not be published for fear of losing contracts and benefits. "The secret of a car's body being able to withstand the crash test are the weld spots," he said. "Let's say this is a German car," he pointed to the gapless sketch. "It's really sophisticated. Nothing is missing." Then he pointed at the car made in Brazil, full of incomplete ink strokes. "The Brazilian version looks the same from the outside, but it's missing pieces," he said. "In one version they include the reinforcement, in the other they don't. What's of interest is the final shape. What's inside, nobody can see." In 2008, Carlos Alberto Lopes, then a 23-year-old waiter, was riding in a one-star car traveling about 50 mph on a rainy highway in the southeastern Brazilian state of Minas Gerais when the road curved smoothly left. The car hydroplaned, skidded into an embankment and rolled several times down a long incline. Of the four occupants, Lopes was the only one with serious injuries, leaving him paralyzed from the waist down. Lopes says the three-point seatbelt he was wearing didn't lock his body in place, allowing him to repeatedly hit the collapsing roof as the car rolled. He suffered a crushed vertebra. "If the seatbelt had locked when the car rolled I wouldn't have hit my back. None of this would have happened," Lopes said. 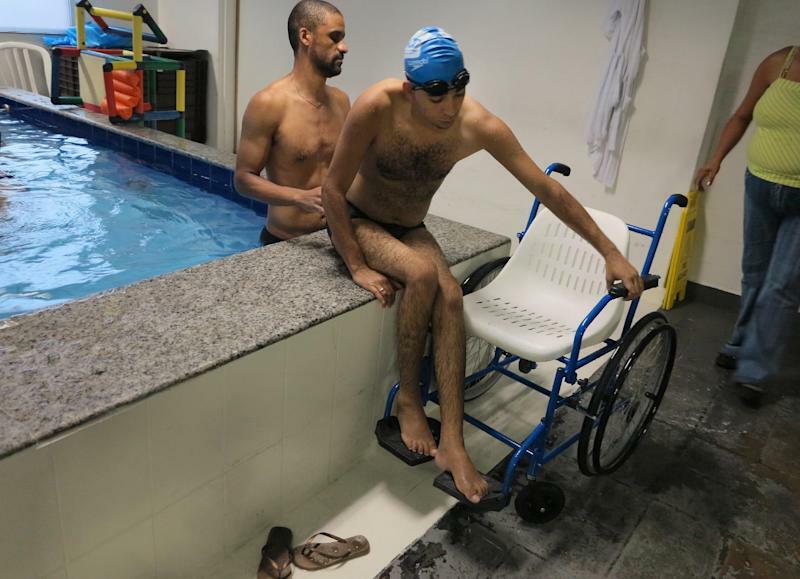 A study by a chain of Brazilian rehabilitation centers where Lopes is being treated found that in 2011, 40 percent of the patients it worked with in Sao Paulo with serious spinal injuries were hurt in traffic accidents. Lopes never considered a lawsuit. In fact, in more than a dozen interviews with accident victims left paralyzed after crashes, not one considered taking legal action against vehicle manufacturers. That's in part a reflection of the lack of police investigations into car accidents, the majority of which, like Lopes', only result in simple "occurrence bulletins" that include minimal information. But it's also indicative of the deference Brazil's new middle class consumers show to automakers and most other industries. Accidents like Lopes' involve more than a poorly built car. Drivers fail to obey traffic laws, which many of the region's governments notoriously don't enforce. Cars must navigate crumbling roads and poorly designed highway systems that all but make gridlock and accidents unavoidable. And many drivers simply value perks such as alloy wheels and sound systems over unseen crumple zones. In 1965, there were 47,089 motor vehicle fatalities in the U.S. That same year, consumer activist Ralph Nader's famous indictment of the auto industry was published, Unsafe at Any Speed. The book ignited a national discussion on auto safety and ultimately led to reforms that dramatically refashioned the industry's standards, helping lead to a 32 percent drop in deaths by 2011. Nader said halting the growing number of auto deaths in Brazil would take "a public uproar, product liability lawsuits, selective boycotts by motorists or by mandatory Brazilian law equalizing safety standards with the safest engineering required in other countries." "These responses in the past have worked in other countries confronted by auto industry double standards for protecting lives on the highway. Such actions are long overdue but now Brazilians know the truth in more detail," he said. Alexandre Cordeiro, the top government minister overseeing auto safety laws, acknowledged that the government doesn't have its own crash-test center — but said Brazil will monitor crash tests conducted outside the country. "Regarding front- and rear-end crash tests, our cars are as secure as European or American cars," Cordeiro said. However, when asked about the stark differences in performance that the NCAP tests document between Brazilian and European cars, Cordeiro acknowledged improvements need to be made, saying "we need to evolve and we're working on it." Over the years Ward said he has watched the same battles play out over auto safety — the only thing that changes is the location. "The sad thing is, this has been the experience in the 1960s in the U.S., in the 1990s in Europe and now in Latin America," Ward said. "The industry does the least it can get away with until they're forced to do something different. It's maddening."